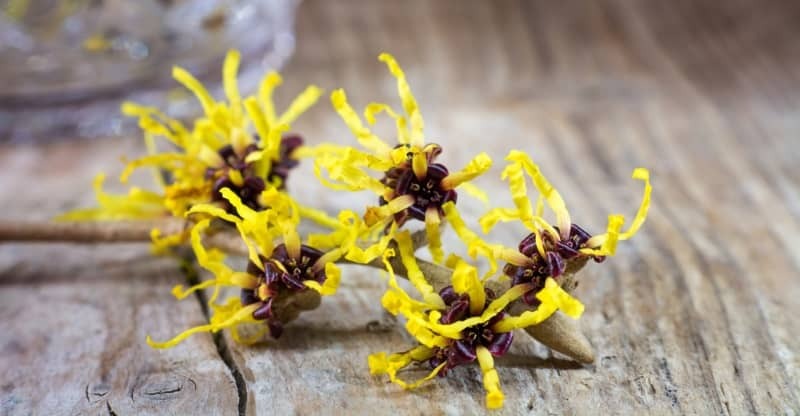 Witch hazel is a natural skin care ingredient that has been used for thousands of years. It has anti-aging and soothing properties that protect the skin and leave it feeling refreshed after cleansing. And its astringent and antibacterial action make it an effective natural treatment for acne. We’ve taken a look at over 20 different products to find the best witch hazel brand for skincare. You can find the reviews of these products beneath the buying guide. 1.1 Does It Contain Alcohol? 1.2 How Much Witch Hazel Is In The Toner? Many toners are mixed with alcohol because of its astringent properties. It’s good at making your skin feel clean and tight. Unfortunately, alcohol can also damage the skin’s protective barrier and excessively dry it. This is particularly a problem for people with dry skin or sensitive skin. So, it’s better for your skin to get a toner that doesn’t include alcohol. How Much Witch Hazel Is In The Toner? Toners often include other ingredients as well. Which means that they’re sold with varying amounts of witch hazel in them. While you won’t know exactly how much is included, looking at its position in the ingredients list will give you an idea of how important an ingredient it is in that particular toner. To get its full benefits you want to avoid toners that only have a small amount near the bottom of the ingredients list. This product by Amara Organics comes in a 6 oz bottle with a spray lid for easy application. It’s 100% natural and doesn’t contain any alcohol, parabens, sulfates, fragrances, or dyes. It’s an animal cruelty-free product and is 100% suitable for vegans. Vitamin C provides antioxidant protection and has anti-aging powers. It stimulates the production of collagen in the skin. Thereby helping to prevent and reduce lines and wrinkles. Aloe vera soothes and moisturizes. It provides antioxidant protection. And helps to clear up conditions such as psoriasis, dermatitis, and eczema. Pomegranate extract protects from photo-aging and helps to repair aging skin. Neroli hydrosol (orange blossom water) calms irritation. It also fights acne infections and provides antioxidants. People love the way it leaves their skin feeling hydrated. It’s absorbed quickly and easily and makes skin feel fresh. It’s good for oily skin and is very helpful for clearing up acne and blemishes. People with dry skin and sensitive skin also report this being a product that’s great to use. And while some people find the smell to be unusual, it fast becomes unnoticeable after use. Amara organics are so confident that you’ll enjoy using their product that they offer a 100% money back guarantee with no returns required. This product by Quinns comes in a 16 oz bottle. Aloe vera is soothing for irritated skin. And can help to clear up skin conditions. It also has anti-aging properties with its moisturizing effect and antioxidant content. Rose water moisturizes, kills acne bacteria, and relieves inflammation. Grapefruit seed extract kills harmful bacteria and provides antioxidant protection. People report it works great on both dry and oily skin. And that it’s effective in helping to reduce acne breakouts. It has a pleasant smell of roses due to the rose water it contains. There is a 100% money back guarantee if you are not satisfied with the product. This brand is free of alcohol and contains natural and certified organic ingredients. It’s hypoallergenic and doesn’t contain any parabens or artificial fragrances. Its ingredients list is similar to Quinns, but it doesn’t contain any rose water. People report that it’s scentless as advertised. This is good if you want to wear perfume over it. Or you have another natural ingredient with a fragrance you enjoy that you will be adding to it. This is also useful when making homemade skin care preparations. This product by Leven Rose comes in a 4 oz bottle. It’s made of dark amber glass which protects the toner from the sunlight and extends the time it will stay good. The sprayer that comes with it makes for easy use. It’s alcohol-free, glycerin-free, and is non-oily. No fragrances have been added and no parabens included in its production. And it’s 100% natural and organic..
Witch hazel is the second largest ingredient present in the toner. Cucumber water is rich in vitamins and supports healthy skin. Chamomile flower has antibacterial, antiseptic, and anti-inflammatory properties. Ginseng root contains anti-aging phytonutrients, and helps to brighten and tone the skin. Calendula flower soothes the skin and is anti-inflammatory. Customers enjoy the fresh rose smell of this product. It’s gentle on the skin, and doesn’t sting like some witch hazel brands can. And it’s soaked up quickly and feels soothing. Many people find it to be excellent for getting rid of acne and developing clear skin. This product by CSM comes in a 4 oz bottle. It’s made in the US and contains natural and organic ingredients. The witch hazel is the third largest ingredient in the toner. Irish moss softens and soothes the skin. Kelp is anti-inflammatory and helps to reduce the appearance of blemishes. Vitamin B5 heals, soothes, and regenerates the skin. Customers describe it as being good for minimizing pores and clearing up adult acne. It’s strong enough that it can sting a little on application. But it doesn’t cause irritation. Using a witch hazel toner as a part of your cleansing regime has many benefits. It can get rid of any leftover oil or dirt that could block the pores on your face. It provides antioxidants (1). And helps to clear up skin conditions (2), and soothe the skin. All the best brands listed above are alcohol-free and are a good choice. But, the product from Amara Organics is our recommended choice as the best witch hazel toner brand for acne and skincare.